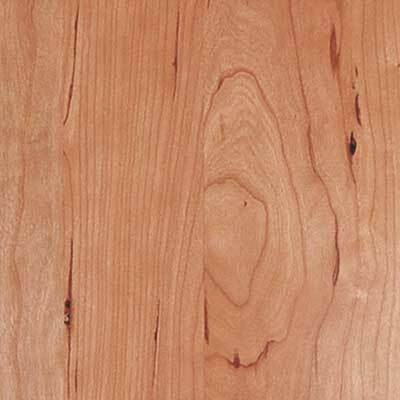 Featuring rich red tones, Cherry Select has a minimized amount of color variation along with reduced allowance for pin knots and other natural characteristics. Cherry Select may still display small amounts of pitch pockets on the face, as this naturally occurs in Cherry. 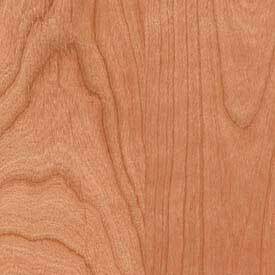 Cherry Finish Grade is designed to be used when having your products finished by Decore-ative Specialties. With Finish Grade materials you will receive the material option that best suits the look you have selected, whether you choose a natural, stain, shader, or paint finish. 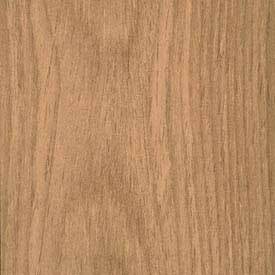 As a result, the amount of natural color or grain may vary depending on the selected finish. 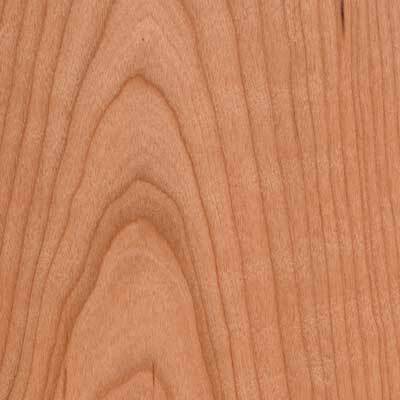 Cherry Standard fits between Cherry Natural and Cherry Select in terms of characteristics in the wood. It may contain sapwood in machined areas and possibly continuing on the face, along with pin knots and pitch pockets. Featuring a larger amount of variation in natural characteristics, Cherry Natural may contain pitch pockets, closed knots, pin knots, sapwood shown on the face and more color variation than other grades of Cherry. 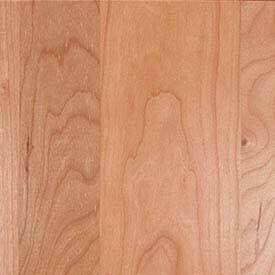 Cherry typically features more natural characteristics common in the Cherry specie and will show reddish color tones, with light colored sapwood. This material may also have an allowance for small closed knots, pin knots, pitch pockets and mineral streaks. Drawer Boxes allow for sapwood. 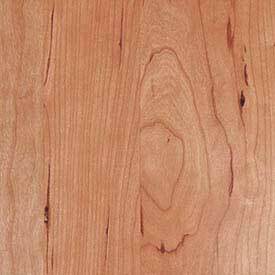 Used for drawer boxes, Cherry Preferred has similar characteristics of Cherry Select. 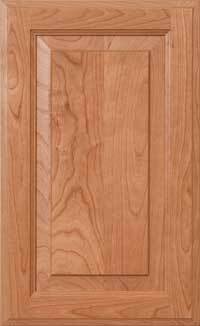 It features red tones, little to no sapwood on the outside, even color and grain patterns, and a reduced allowance for knots. 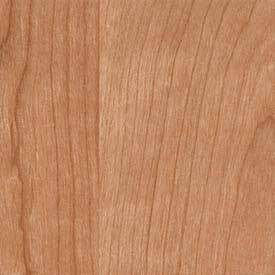 Pitch pockets may still show in this material, as they naturally occurs throughout Cherry. 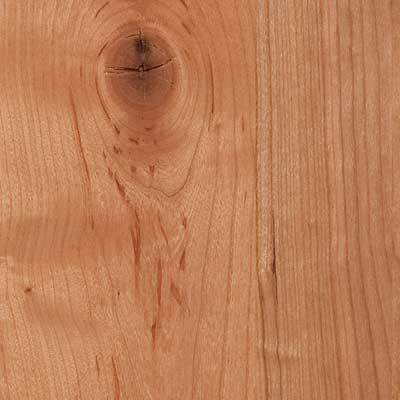 Showing a large amount of variation in the material, Cherry Rustic Knotty will display an allowance for larger-sized open knots, knots that contain star cracks, heavier amounts of color variation, sapwood on face and pitch pockets. 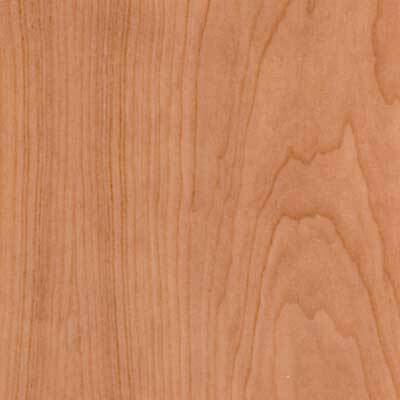 Cherry Rustic Knotty Finish Grade is designed to be used when having your products finished by Decore-ative Specialties. 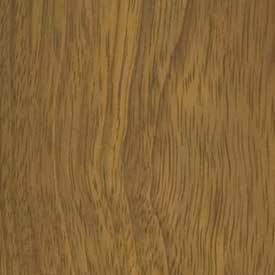 With Finish Grade materials you will receive the material option that best suits the look you have selected, whether you choose a natural, stain, shader, or paint finish. 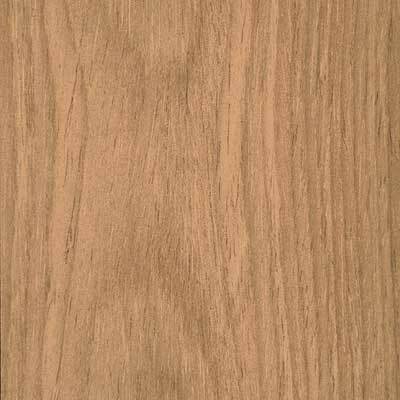 As a result, the amount of natural color or grain may vary depending on the selected finish. 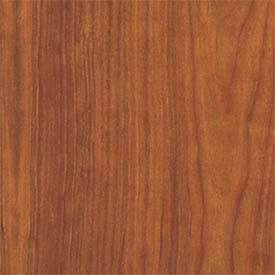 Brazilian Cherry, also known as Jatoba, is an incredibly hard wood which features reddish tones that darken with age. It has a fairly consistent grain pattern, with some interlocking. It has a moderately-coarse texture as well. 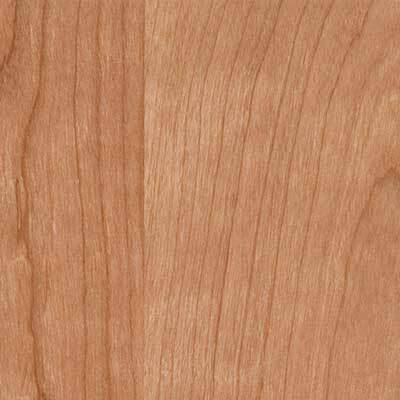 We offer Brazilian Cherry for drawer boxes. 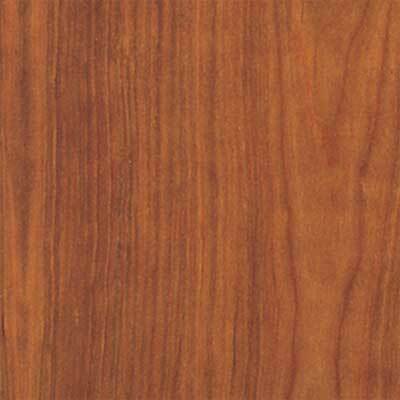 Brazilian Cherry Finish Grade is designed to be used when having your products finished by Decore-ative Specialties. 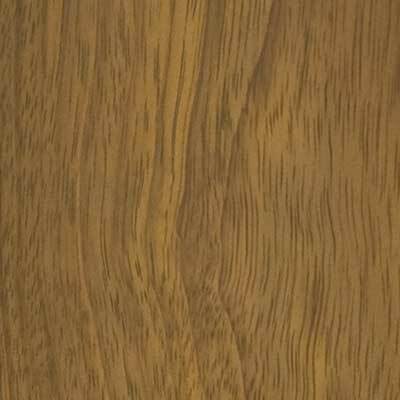 With Finish Grade materials you will receive the material option that best suits the look you have selected, whether you choose a natural, stain, shader, or paint finish. 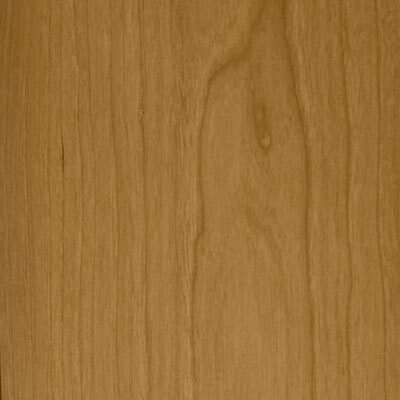 As a result, the amount of natural color or grain may vary depending on the selected finish. 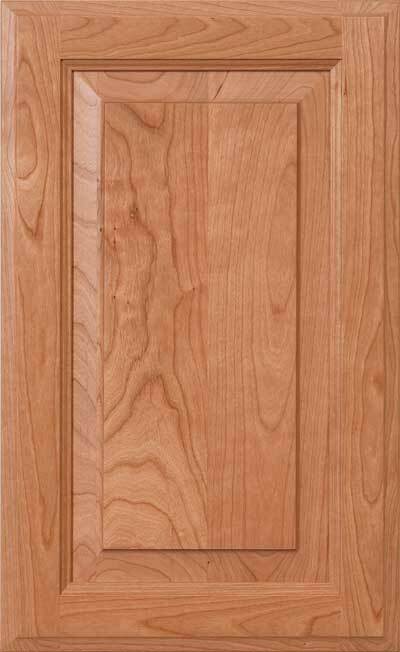 Used for Veneer Doors, Plain Sliced Cherry will display a consistent grain pattern and even red tones. As this is considered a Select Grade material, it will have a reduced allowance for knots, color variation, and mineral streaking. 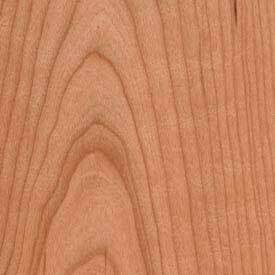 There may be an allowance for some pitch to be shown on the face, as it occurs naturally throughout Cherry. 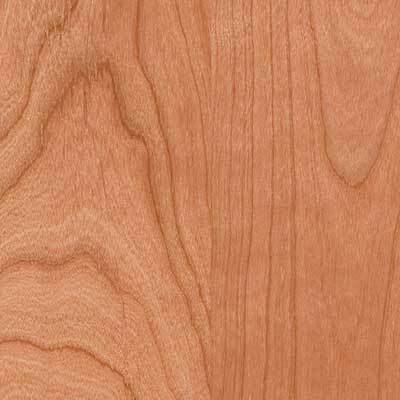 Used for Sheet Goods, Cherry Cabinet Grade offers similar color and grain characteristics as Cherry Natural, however this material is usually offered with more natural defects than a Select or Natural Grade. 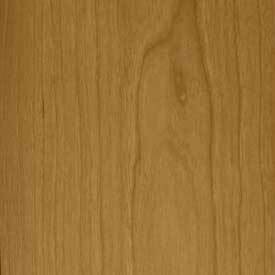 The Cabinet Grade typically is used to offer a more economical price for the lower grade face and back. Due to the higher allowance for pin knots, small closed knots, color and grain variation and more, this material is not recommended for clear finishes or use on End Panels. 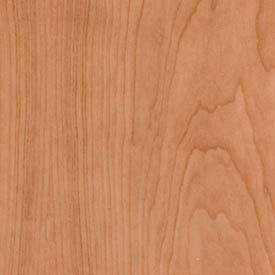 Cherry Unfinished Veneer on a MDF core will display a fairly consistent color and grain pattern.